Katsuhiro Otomo, the director behind the seminal anime film Akira (1988) is one busy dude. He not only produces, he also writes and animates! His productions include some of the best anime anthologies around; I’m talking about films like Robot Carnival (1987), Neo Tokyo (1987) and most recently Short Peace (2013), an anime anthology that I will try to get a hold of soon, so expect a review for it in the near future. Otomo also produced the anime anthology I’ll be reviewing today: Memories (1995). I’m really enjoying watching all of these anime anthologies because they offer a quick jolt of awesomeness. Though each individual story lasts about forty minutes or less, they are always entertaining because the filmmakers involved in each short give it their all in both the story and animation departments. Memories doess just that, visually it packs a wallop, yet it also has some depth to it. Let’s not forget these anthologies are an artistic tour de force, compiling a lot of talent into one single movie. As you can see, animated anthologies have a lot to offer. So, what’s this particular one all about? Anthologies are usually connected by a theme, something that holds them together. But in the case of Memories, the shorts have no real connection to one another; all three stories are totally different. The first one is called ‘Magnetic Rose’ and it comes to use from director Koji Morimoto, a director I’m not entirely familiar with, but whose work I have seen a lot of. For example, he’s worked as an animator in films like The Animatrix (2003), Kiki’s Delivery Service (1989) and Space Adventure Cobra (1982). He also directed the ‘Franken’s Gears’ segment in Robot Carnival (1987). So anyways, he’s the director behind ‘Magnetic Rose’, a short that shows many interesting influences. The story is all about these space garbage men, who are suddenly given the responsibility of responding to a distress signal from a derelict spaceship. When they board the ship, they discover that the ships A.I. has created a holographic world completely composed of one woman’s memories. As they explore the ship, the astronauts begin to encounter visions of a woman called Eva. Who is she? And why are they all experiencing supernatural shenanigans? This short reminded me of various films, but most of all, it reminded me of 2001: A Space Odyssey (1968) because for example, the whole short uses classical music, just like Kubrick used classical music in 2001. The similarities don’t stop there; the short is all about discovering a derelict spaceship and a ghost like entity living in rooms furnished in European style. It’s also about astronauts drifting through space for all eternity, so, if you’re a fan of Kubrick’s 2001, then you’ll more than likely spot the parallels because the filmmakers behind ‘Magnetic Rose’ obviously loved Kubrick’s classic sci-fi film. Magnetic Rose also reminded me of Event Horizon (1997) because it deals with astronauts facing their fears due to a supernatural force that’s messing with their minds, so you can expect a “ghost in the machine” type of story with this short. Then we move on to ‘Stink Bomb’ my favorite short in the whole anthology and in my opinion, the one they should have closed the anthology with. This one was directed by Tensai Okamura, a director who’s concentrated most of his career on television series like Samurai Champloo (2004) and Wolf’s Rain (2003) rather than on theatrical features, but you wouldn't know it from seeing this short. As it turns out, Stink Bomb is the most entertaining of the three shorts on this anthology. It’s all about this lab technician named Nobuo. A regular Joe who works in a science lab. Unfortunately, he also has a cold! When he mistakes a bottle of experimental pills for cold medicine, he unwillingly becomes a walking weapon of mass destruction! When he took the experimental pills, he really took pills that are part of a weapons experiment being conducted in collaboration between the Japanese and American governments! After he takes the pills, he becomes a walking death bomb! Wherever he goes death follows! Anybody who comes within a few steps of Nobuo instantly dies! This short turns real epic real fast, my recommendation is stick with it till the very end, it’s a very entertaining and rewarding short. Because of its funny tone, you don’t expect it to get so epic, but it does! This short speaks about weapons of mass destruction, but it’s really just a fun short that plays out a bit like a Godzilla movie, with Nobuo being the destructive force headed towards Tokyo, while the military tries their best to stop him. Finally, the anthology ends with Katsuhiro Otomo’s Cannon Fodder, a short that takes place in a fantasy world where society is built around war. Every single building in this walled city has a cannon or a gun sticking out of it. The story takes place in a city where its people only live for making bullets for their giant cannons, to shoot at an enemy they don’t even know. All they care about is shooting their cannons. It’s interesting, thematically, it reminded me of George Orwell’s 1984, because it’s a dreary, sad society whose only focus is producing, producing, producing. When they are not producing, they are being programmed to hate an invisible enemy they have never seen themselves. Since the short focuses on how a child sees the world, it comments on how the environment we grow up in forges our dreams and aspirations. The idea being that if we are surrounded by guns and violence; chances are we will want to become something associated with that world. Hence, the little boy who stars in the short draws guns with his crayons and aspires to become the man who pulls the trigger of the big cannon. When this anthology was released, the short that received the most acclaim was Magnetic Rose, and I agree, it is the deepest of all the shorts, playing in the same ball park as Kubrick’s 2001, but also Andrei Tarkovsky’s Solaris (1972). ‘Stink Bomb’ was heralded as the most entertaining and funny of the bunch, though it wasn’t praised for its depth. Interestingly enough, it was ‘Cannon Fodder’, the short that comes from the most acclaimed of the directors involved on this anthology that got the worst reviews. Not that it’s a bad short; actually, it’s very unique visually. It focuses more on style and a certain type of tone. Stylistically, Cannon Fodder is amazing, very unique looking and it has a distinctive anti war message to it, which I think is where its thematic strengths lie. It sticks to its one theme through and through. I personally dug all three shorts for different reasons. One is deep and haunting, one is entertaining, funny and epic and one is stylish and offers social commentary. So we get a little bit of everything on this anthology. When we see it as a whole, it’s another gem in the world of anime anthologies. Highly recommend it. The universe of science fiction anime films is vast and wondrous, I’ve been exploring it as of late, I hope you guys are enjoying my exploration of anime films. But anyways, within anime science fiction, there’s a small niche reserved for films about space pirates. For example, today I’ll be talking about Harlock Space Pirate, but there’s Space Adventure Cobra (1982), also about a space pirate. There’s a bunch of other anime sci-fi films worth mentioning in case you feel the need to explore this type of film more, for example there’s Space Battleship Yamato (1979), Final Yamato (1983), and yet another one we could mention is one of my all time favorite anime science fiction films: Lensman: The Secret of the Lens (1984) a film that I’ll be reviewing here soon, so keep your eyes peeled. But what concerns me today is this super cool animated film called Harlock Space Pirate (2013). I’d never seen the series or read the manga that it is based on, but there was something about the concept of a space pirate driving a gigantic spaceship that looks like a skull, that just grabbed me. There’s just something cool about the idea…add to that the James Cameron quote on the cover that reads: “This is truly an unprecedented movie. This movie is already legendary, with its overflowing imagination and magnificent visuals; this movie is one that the world has never seen before. Harlock leads the way to a world of new ideas!” and I was sold. I’m ultra happy I decided to buy this one; it’s an amazing science fiction film! Epic in every sense of the word! Harlock Space Pirate (2013) is a computer animated film based on the manga written and illustrated by Leiji Matsumoto. I have never read the manga or seen the television series that followed, so I went into Harlock Space Pirate without any previous knowledge of the character or its mythos. I don’t know if this is even considered a good adaptation, but if the positive reviews are any indication, then it is. So what was my impression? I was blown away! That’s my official impression! Totally blown away. Personally, I’m not a huge fan of computer animated films, because sometimes the result can be cold and mechanical because sometimes the filmmakers focus so much on the visuals that they forget that story is equally important for a movie to work, which is why we get films like Final Fantasy: The Spirits Within (2001), big on visuals, not so big on creating characters and stories we can identify with. Which is one of the many things I loved about Harlock Space Pirate (2013), it has a story that grabs you and characters you can care about. It has a heart! The story concerns Captain Harlock, a pirate that’s going around the universe placing these bombs in specific points in the universe. When he blows up all 100 bombs, the explosion is supposed to trigger some sort of cataclysmic event that would send the universe back in time, to a time when there wasn’t an over population of planet earth, to a time when humans hadn’t destroyed the earth beyond recognition. Of course, not everybody wants this to happen. The powers that be want the status quo to remain as is, so of course, it’s the government chasing Captain Harlock through the universe, trying to stop him from detonating the bombs. Will the corrupt Gaia Coalition stop Harlock and his crew of space pirates from blowing up the galaxy and restarting humanity? So like I was saying, it’s the characters that pulled me in first because they are all a bunch of rebels who fly through the cosmos with one concept on their minds: freedom! Freedom is what drives their ship; it’s the reason why you become part of the crew, because you believe in freedom. The filmmakers managed to make Captain Harlock a truly intriguing and fascinating character, at first they don’t show him much to keep you in anticipation, but once Captain Harlock takes over the film, let’s just say he has an intriguing and magnetic personality, he’s a very fleshed out character. I’m sure that has a lot to do with all the back story the character has, what with the manga and various television series to back him up, well, of course Captain Harlock didn’t end up being a cardboard cutout of a character. This is a character with a well established personality and solid motivations. He is a man who will stop at nothing until things are set right for the human race! But this is only the tip of the iceberg when it comes to the story behind this film, there’s a lot of intrigue, there’s revenge and plots within plots. In other words, even though this film has tons of style and coolness to it, it doesn’t forget to back that up with decent story and characters. When a film has awesome story and characters, and is accompanied by amazing effects and visuals, well, it makes it a perfect package for me. And boy did this movie blow me away with its concepts and visuals! I mean, here’s a film that puts a lot of effort into making things look cool, this movie just oozes coolness from every pore! I loved the numerous space battles! Captain Harlock’s ship looks like something H.R. Giger might have designed, with this giant skull on the front, which at some points smashes into other spaceships! What’s so cool about Harlock's ship is that besides the skull in the front, it also looks like an old pirate ship…and get this, the spaceship has a healing factor! It repairs itself! From what I gather, on the cartoon show the spaceship looks even more like a pirate ship, with these awesome laser cannons on the side, which made it onto the movie as well. It’s just an awesome visual, a pirate ship shooting lasers in space, in fact, the characters in this movie are so well developed that even Captain Harlock’s spaceship (called The Arcadia) has a shroud of mystery about it, even the ship is a character on its own! There are scenes with hundreds of spaceships shooting lasers at each other! Suddenly it feels like a pirate movie, but instead of cannonballs, the spaceships shoot lasers, the result is pure eye candy! Final word is I loved this movie and the character of Captain Harlock so much that I will be purchasing some of the old television series to explore this character further; this is no easy task because this character has had many incarnations throughout the years. 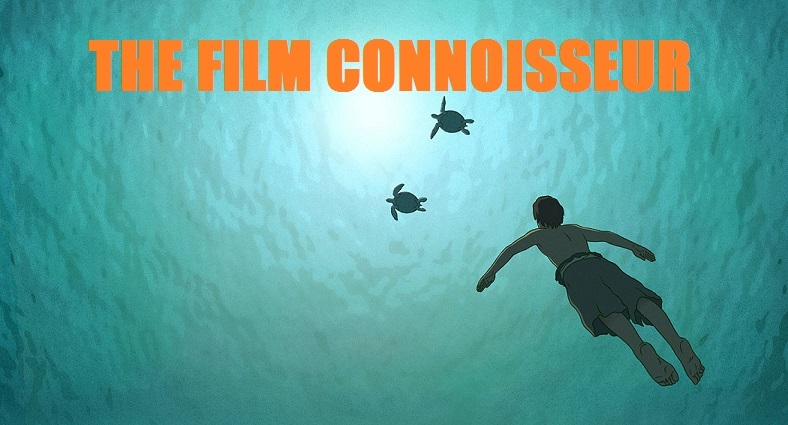 This 2013 film was directed by Shinki Aramaki, the director behind most of the Appleseed computer animated films like Appleseed (2004), Appleseed Ex Machina (2007) and most recently Appleseed: Alpha (2014). But for those of you interested in exploring the character past, there’s been a couple of different Captain Harlock series. They are: Space Pirate Captain Harlock (1978), The Mystery of the Arcadia (1978), Arcadia of My Youth (1982), which by the way was a feature film. It was followed by a series called Albator or Orbit Road/SSX (1982). Then came Harlock Saga (1999) and Space Pirate Captain Harlock: The Endless Odyssey (2002). I’m really looking forward to seeing all of these and catching up with this excellent character and the universe that surrounds him. But as far this new 2013 movie goes, I highly recommend it to lovers of epic science fiction with an emphasis on cool. I love anime movies, the problem with some of them is that sometimes they are so hard to get! Take for example Robot Carnival (1987), the film I’ll be discussing today. It’s an amazing animated film that I’m sure any anime fan would love to have in their collection, yet it to this day it hasn’t be released on dvd or blueray, and the only way you can see it is either by buying a bootleg copy with bad resolution, or you seeing it the way I did, on You Tube. Now normally I never watch movies on You Tube because to me it’s a travesty having to see a movie that way, but sometimes it’s the only way to see them, specially the more obscure ones. So anyhow, I finally got around to seeing Robot Carnival which was recommended to me by my good friend Sci-Fi Fanatic over at Musings of a Sci-Fi Fanatic, where he wrote this amazing article on abunch of anime films, some of which I have not seen yet. Robot Carnival was one of them. Of course I immediately searched this one out and well, here are my thoughts on it. Robot Carnival is an anthology film composed of seven stories from seven different anime directors. Anthology films can be cool precisely because of this, because we get to see different stories, with different tones, themes and styles. Japanese animation director’s love making these anthology films, there’s a ton of them and I have to say, I’ve enjoyed all of the ones I have seen. I’d recommend checking out Memories (1995), which includes three animated shorts; one of them from Katsuhiro Otomo, the director of Akira (1988) called ‘Cannon Fodder’, great animation on that one. On Robot Carnival the stories are as diverse as they are entertaining and thought provoking. Some stories are simply an exercise in style, others are filled with sentiment. The one thing that holds these shorts together is that they are all about robots. In the end Robot Carnival is one big mash up of great animation, it actually gathers an amazing group of animators, some of which went on to make milestones in the world of animation, like the aforementioned, Katsuhiro Otomo who went on to direct Akira (1988) and Steamboy (2004), two amazing anime films I urge you guys and gals out there to see at some point. Other animators who participated on Robot Carnival worked on films like The Animatrix (2003) and Blood: The Last Vampire (2000), so we have an amazing pool of talent on Robot Carnival. Star Light Angel - is about these two girls who go to an amusement park filled with robots. One of the girls ends up falling for a guy in the amusement park who just so happens to be a guy that ends up turning into an evil giant robot. Then a good robot comes to save her and it felt a bit like an animated version of Scott Pilgrim vs. The World (2010), with the good robot boyfriend vs. the evil giant robot ex boyfriend. It's a lighthearted short, filled with lots of colors and mostly happy moments. Cloud - is a very ‘artsy fartsy’ short, very symbolic in nature. I took it as a robot watching the history of mankind unfolding in front of its very eyes, from our birth, to our own self destruction, then to rebirth. Deprive - has a hero, a girl in peril and evil alien robots taking over the earth. This short goes at a million miles per second, blink and you’ll miss something, but it’s cool stuff happening all the time. We get aliens, tentacled robots, lasers and the earth saved all in the course of a few minutes. Franken’s Gears - is a homage to Frankenstein. In this short a mad scientist creates a giant robot in his dark laboratory. At first he thinks it’s not alive but after a few switches are flipped, lightning strikes and voila! The robot is alive! The robot begins to imitate its creator. Will this be for the good of the mad scientist? Or will it be his doom? Visually striking, loved this one. Presence - This one also has an inventor working on a robot, this time in a secret secluded cottage in the middle of the woods. He ends up having conversations with the robot who expresses her desire to go out into the world and experience life. She reminded me of the robots from Blade Runner (1982), asking for life. It’s one of those stories that touches upon the idea of robots outliving their own creators. A tale of Two Robots Chapter 3: Foreign Invasion - is ‘steam punkish’ in nature because it’s all about two giant wooden robots fighting in the middle of a city, but not in modern times. It’s a period film, set in the 19th century, but with machinery that runs on steam. It’s visually impressive, what with giant wood robots walking about the city and all, yet it is also light on themes. It feels like we are watching a small part of a larger story. Nightmare - Is the darkest and most apocalyptic of all the shorts, it takes place in a darck city, as giant robots roam about the streets. Lightning bolts destroy the city and robot armies are formed, as humans run away from the chaos, trying to survive. This short is all about The Human vs. The mechanical. It has no dialog and gives lots of emphasis to mixing music with visuals. Very atmospheric and gloomy. Then the film ends with another ‘wrap around’ story that ends the film with a bang. Robot Carnival is a great anthology film, a display of awesome talent in the field of animation. You’ll never feel bored because you’ll always see something different. You can tell this film was made by artists, its main emphasis is on creating striking visuals. So from that angle, you won’t be disappointed. If you’re looking for a deep film, look elsewhere, because you’ll get depth only from a few of the shorts, the rest are eye candy, which is a good thing as well. Some films are meant to be enjoyed solely for their escapism. If you’re a fan of anime, science fiction and robots, you should definitely check this one out.